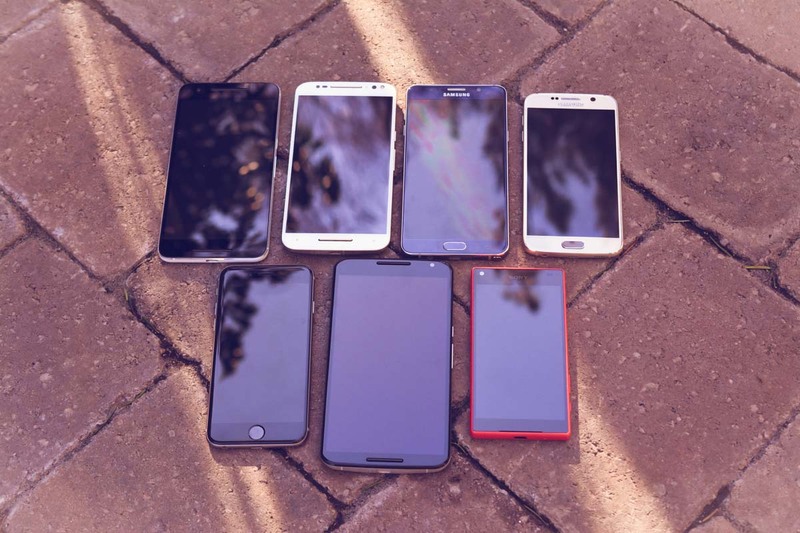 Question of the Day: What is the Perfect Smartphone Display Size? From 2011 through much of last year, we seemed to debate time and time again about what the perfect display size was. We went from 4.3-inch displays being referred to as “hummers” to 5.5-inch displays and beyond as becoming somewhat commonplace. Thankfully, a number of smartphone manufacturers seem to have settled in a bit on what they consider to be optimal, so the argument has died down some. Samsung and its Galaxy S line are hovering around the 5.1-inch mark these days, the Note line has settled into 5.7-inches, LG seems to like 5.5-inches for its G phones, and HTC has taken a liking to 5-inches for its M series. So here is a question for the day. Now that we are starting to know what to expect in terms of size from each OEM, what is the perfect smartphone display size? Which manufacturer is getting it right, at least in your opinion? Are there still plenty of sub-5-inch fans out here, are you OK with right-around-5-inches, or do you prefer something much larger? I can say that within the last year, I’ve sort of given up on the idea of owning a smaller phone. Shocking, I know, since I championed small phones for years and mocked all of the whales in existence. But even I can admit that you can get used to a bigger phone after using it for a while. I can also admit that consuming media on a larger-screened device is quite enjoyable. Sure, I’d love for the Galaxy S7 and its 5.1-inch display to woo me, but if Samsung hasn’t addressed the battery issues of last year’s model, I’ll pass. Because that’s another thing that I am loving about bigger phones – they have bigger batteries too. What do you think? What is the perfect smartphone display size?